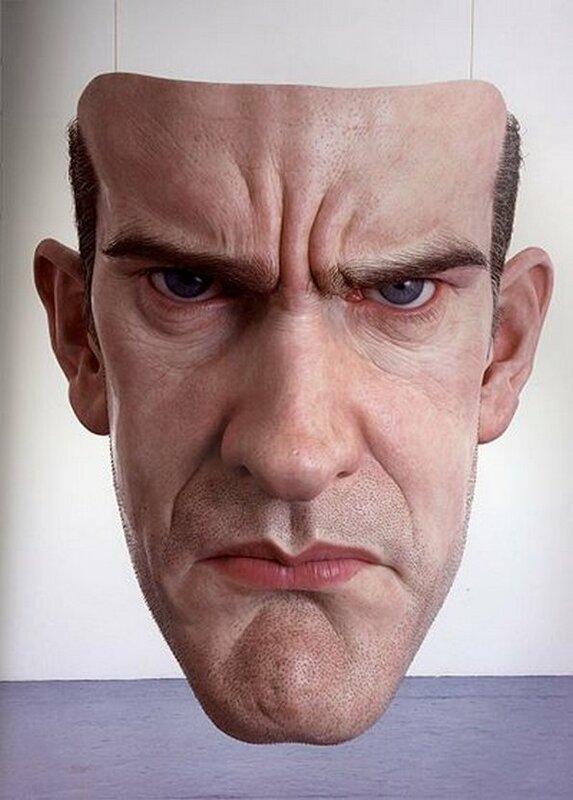 There is a point, when sculpturing, at witch taking great care of details leads to creating hyper realistic artwork that cannot be set apart from the real world objects it is supposed to represent. 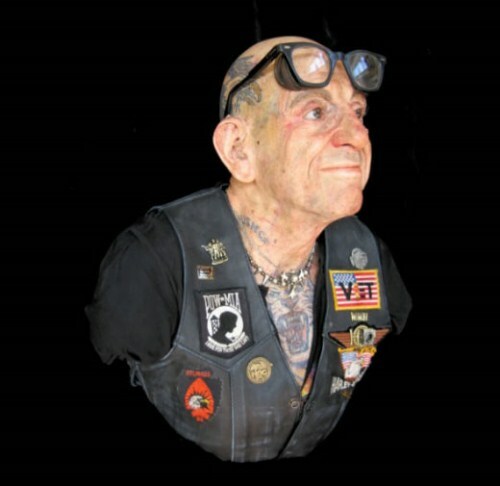 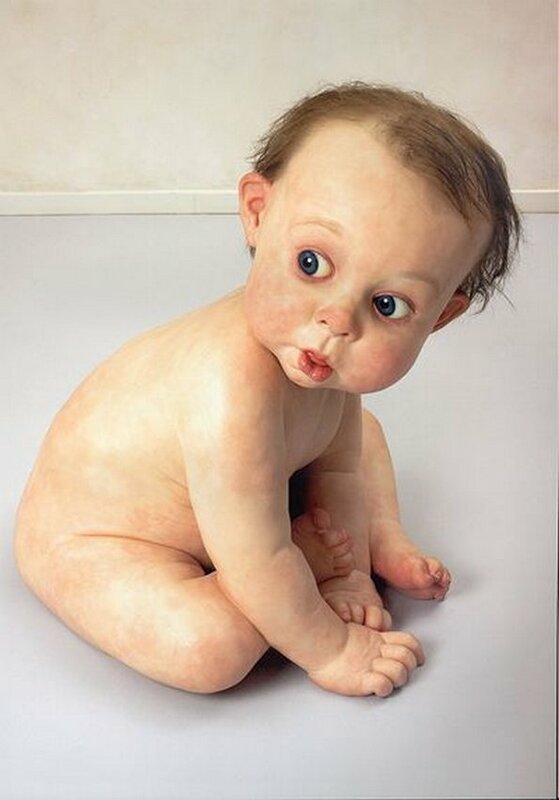 Ron Muech sculptures are just that, extraordinary realistic art that seems real even after looking at it for the tenth time. 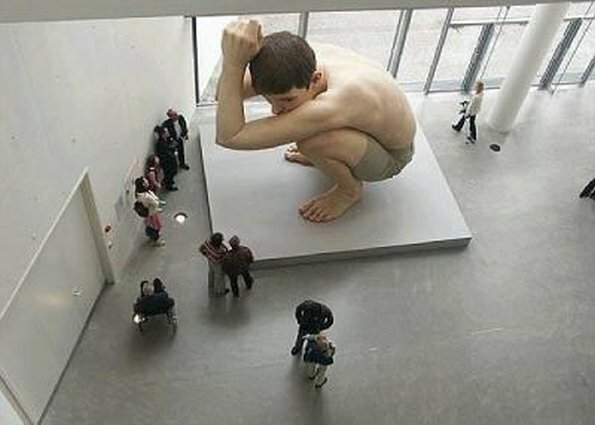 The design of his creative sculptures can be explained just using this word: superb! 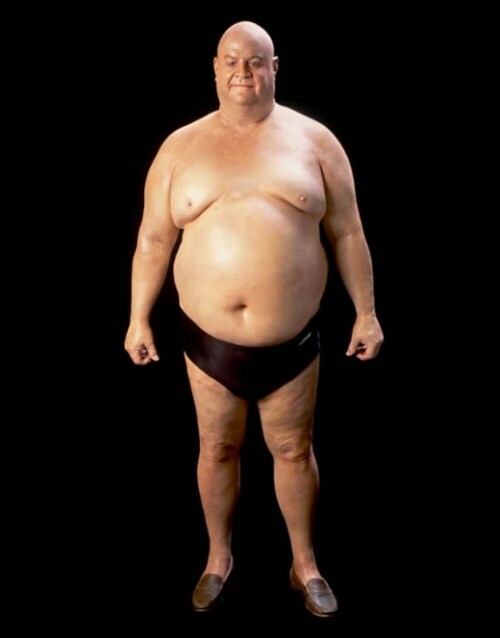 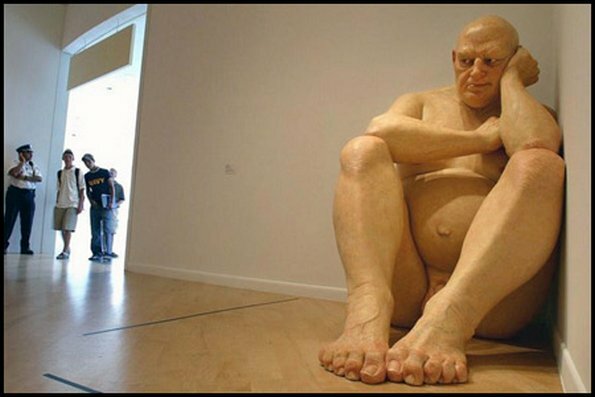 Ron Mueck was born on 1958 is an Australian hyper realist sculptor working in Great Britain. 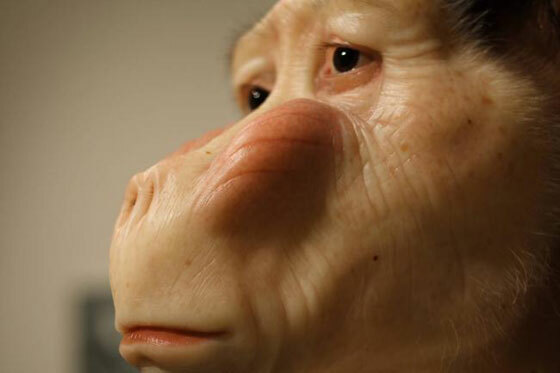 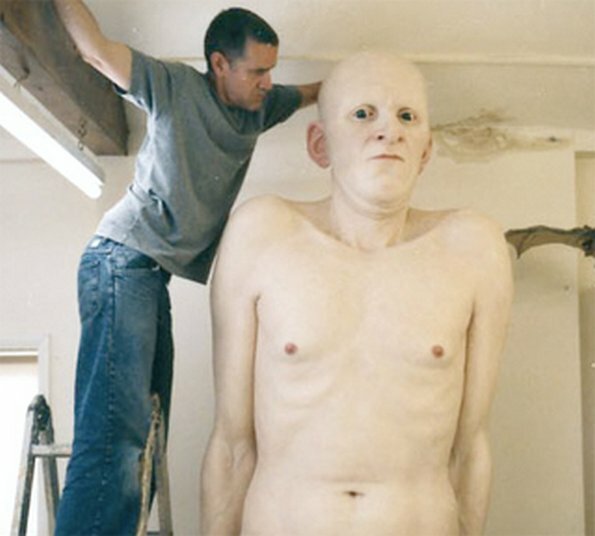 Mueck’s early career was as a model maker and puppeteer for children’s television and films, notably the film Labyrinth for which he also contributed the voice of Ludo. 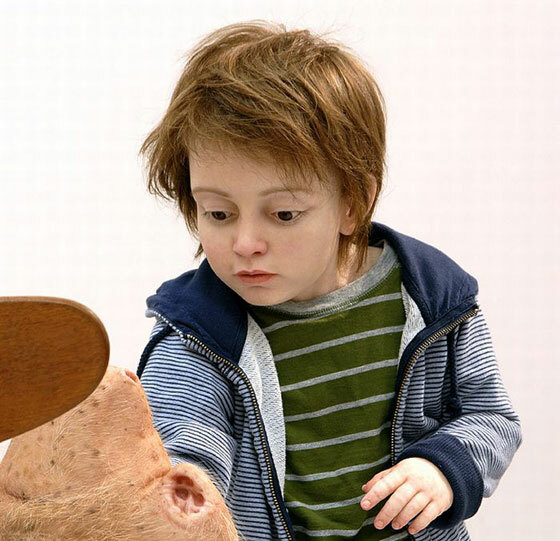 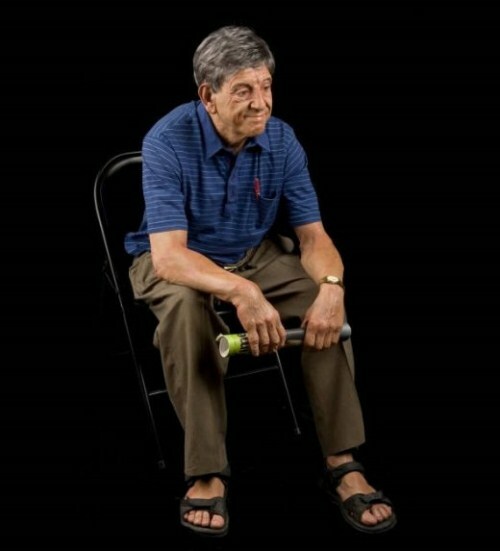 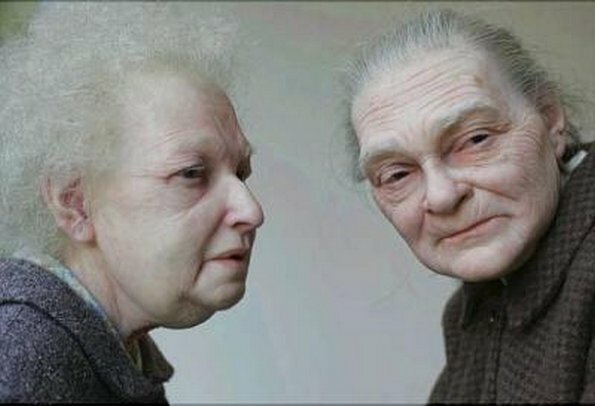 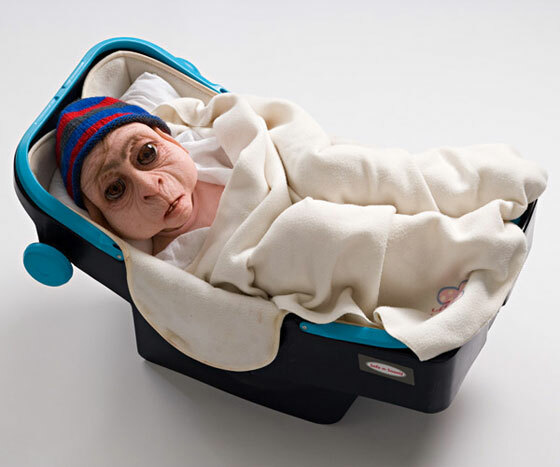 Mueck moved on to establish his own company in London, making photo-realistic props and animatronics for the advertising industry. 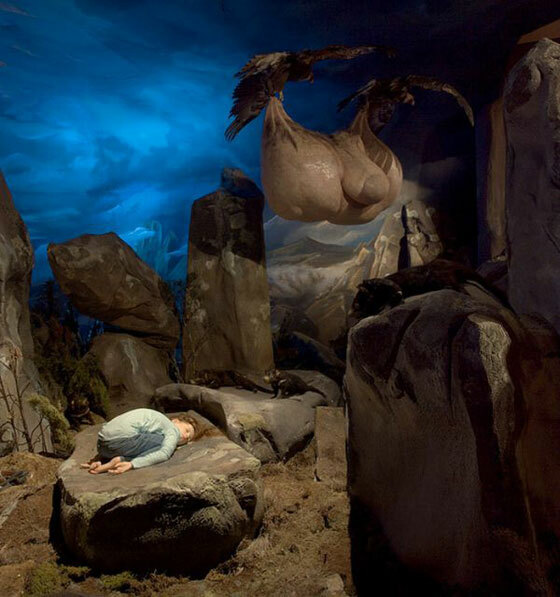 Although highly detailed, these props were usually designed to be photographed from one specific angle hiding the mess of construction seen from the other side. 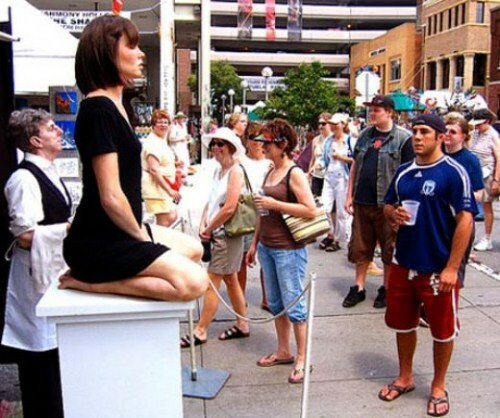 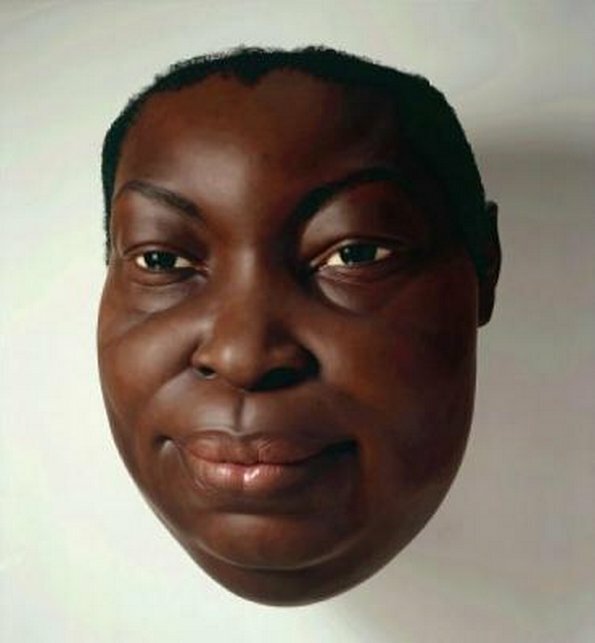 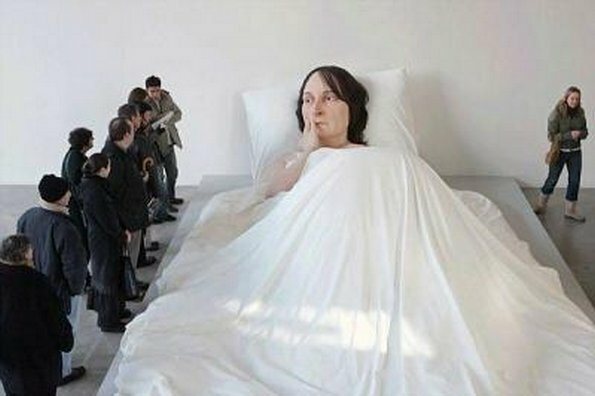 Mueck increasingly wanted to produce realistic sculptures which looked perfect from all angles. 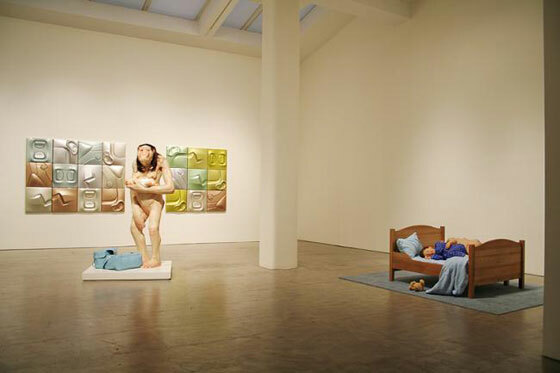 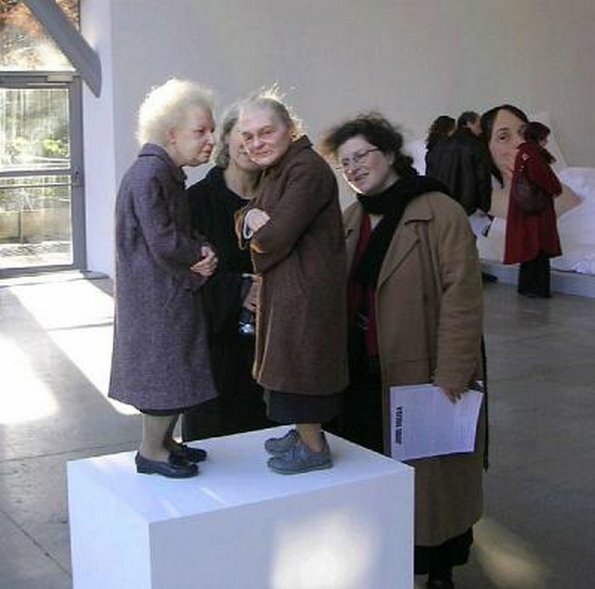 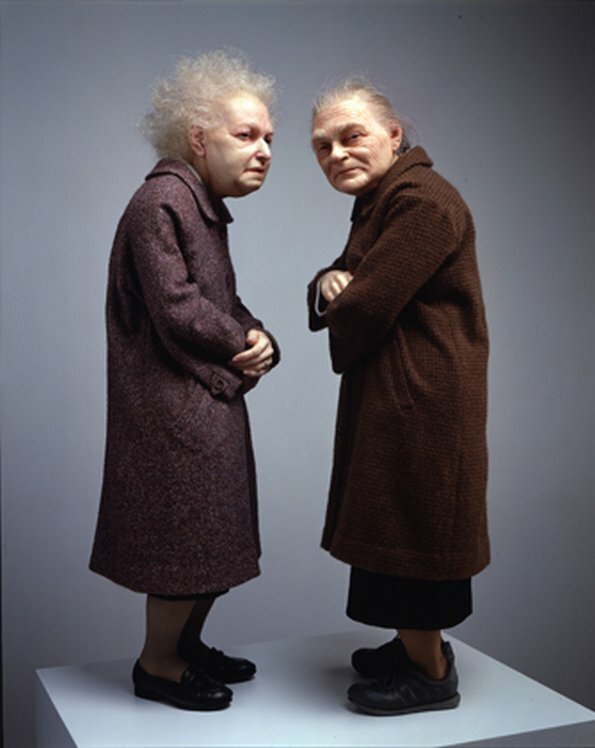 In 1996 Mueck transitioned to fine art, collaborating with his mother-in-law, Paula Rego, to produce small figures as part of a tableau she was showing at the Hayward Gallery. 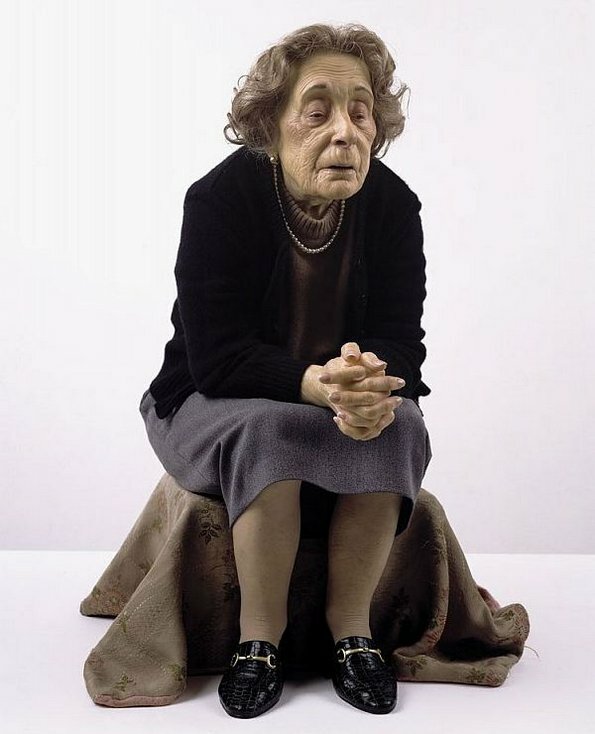 Rego introduced him to Charles Saatchi who was immediately impressed and started to collect and commission work. 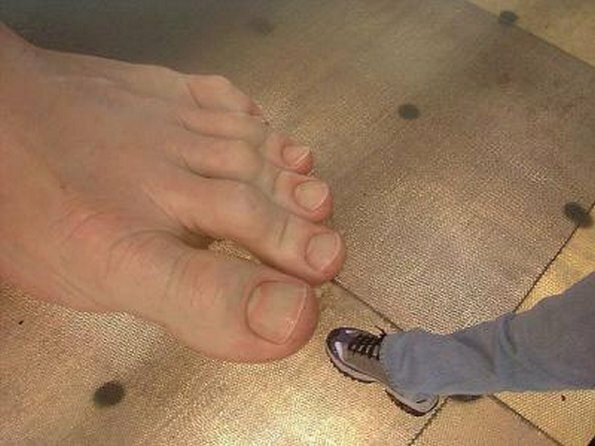 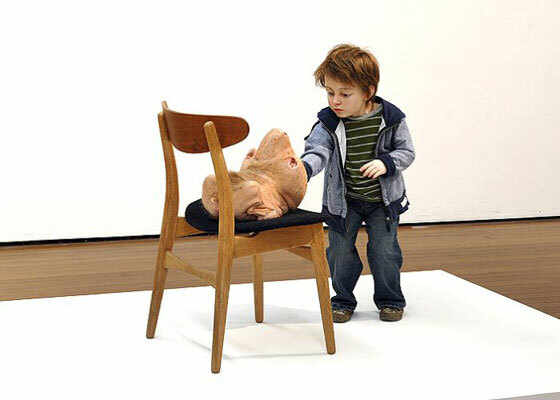 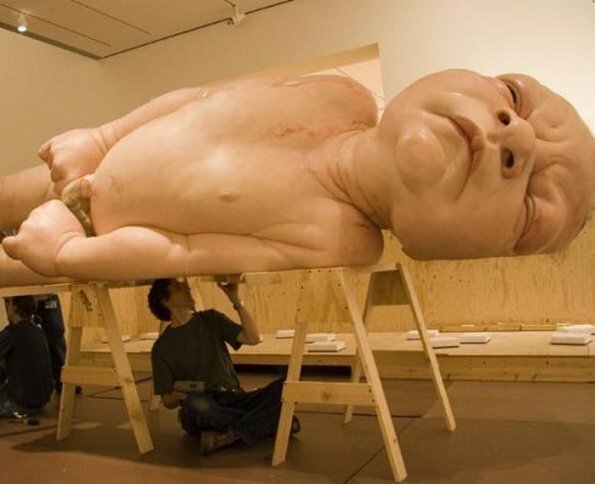 This led to the piece which made Mueck’s name, being included in the Sensation show at the Royal Academy the following year. 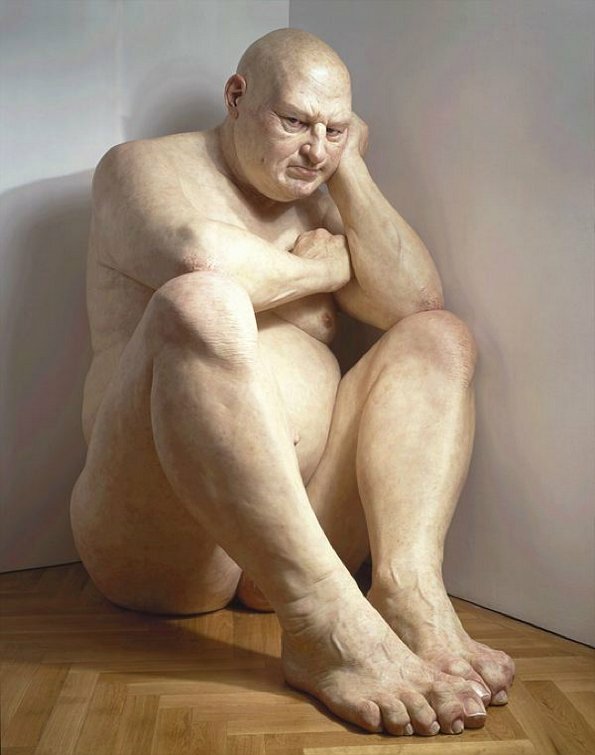 Dead Dad is a rather haunting silicone and mixed media sculpture of the corpse of Mueck’s father reduced to about two thirds of its natural scale. 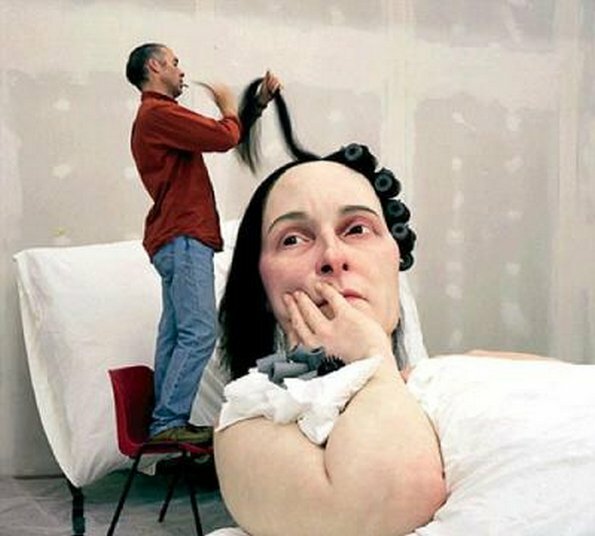 It is the only work of Mueck’s that uses his own hair for the finished product. 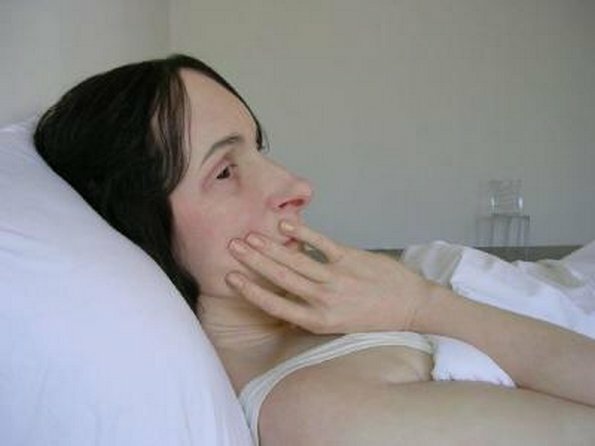 Mueck’s sculptures faithfully reproduce the minute detail of the human body, but play with scale to produce disconcertingly jarring visual images. 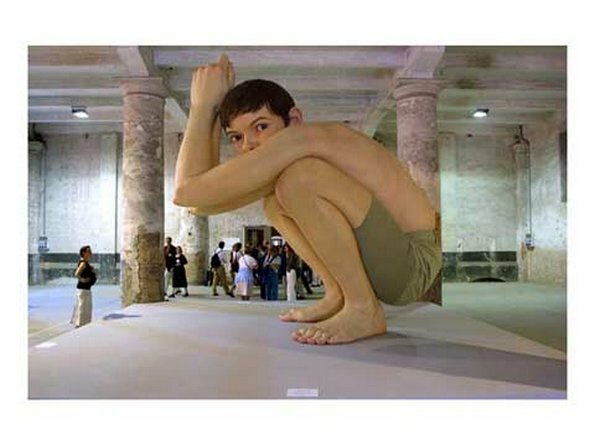 His five meter high sculpture Boy 1999 was a feature in the Millennium Dome and later exhibited in the Venice Biennale. 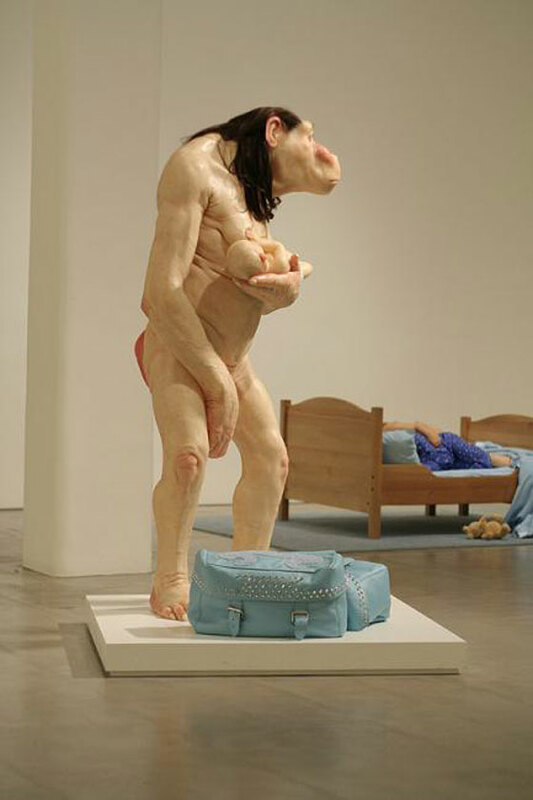 In 2002 his sculpture Pregnant Woman was purchased by the National Gallery of Australia for $800,000. 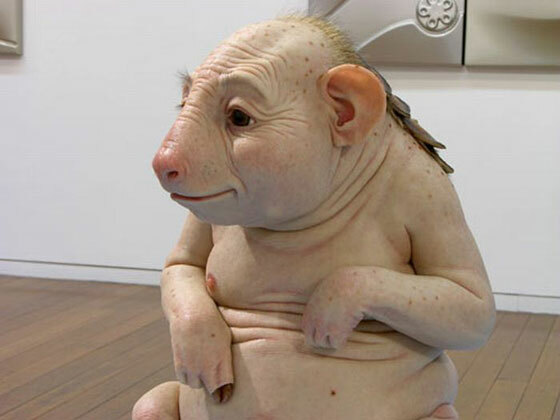 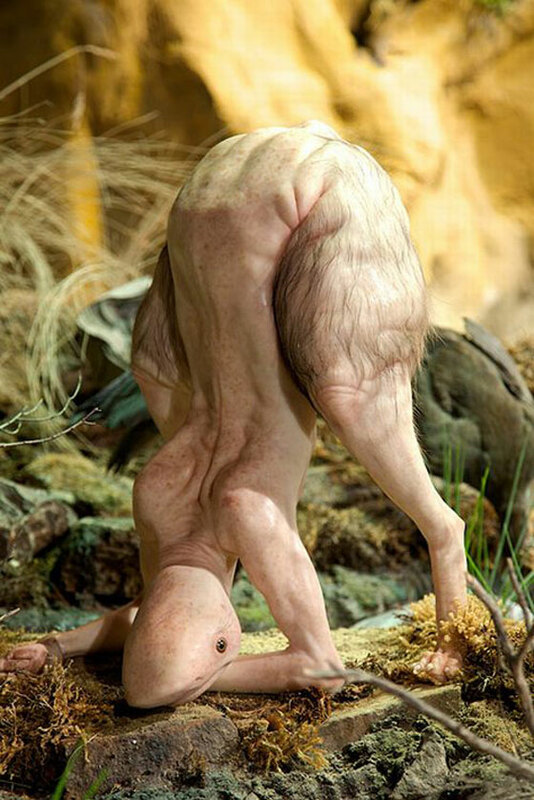 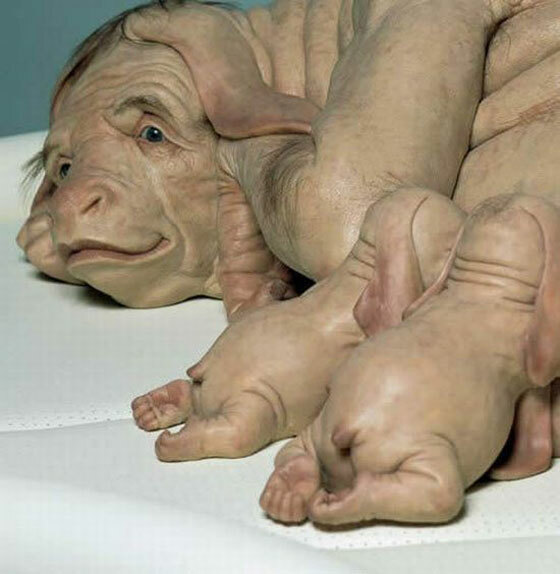 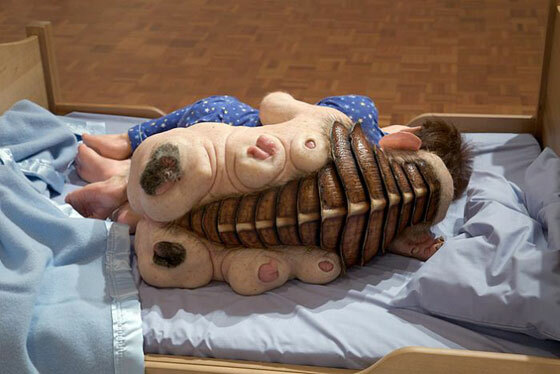 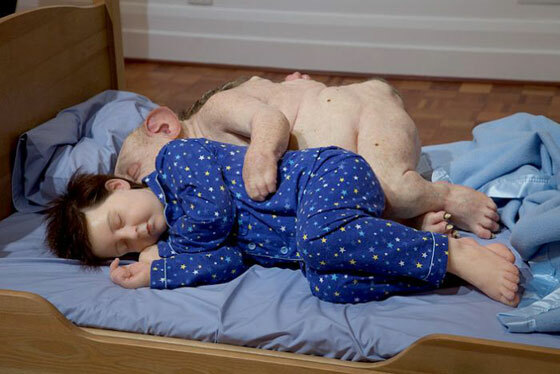 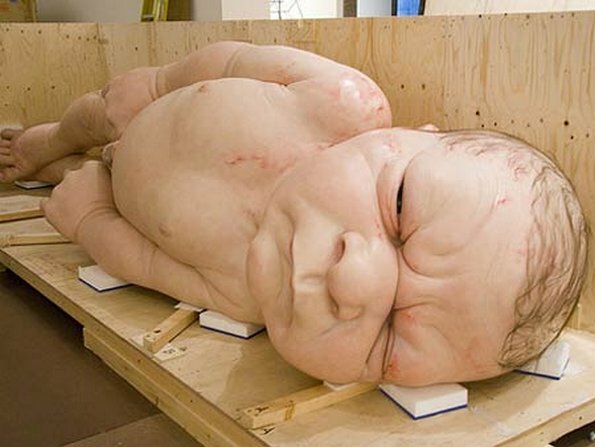 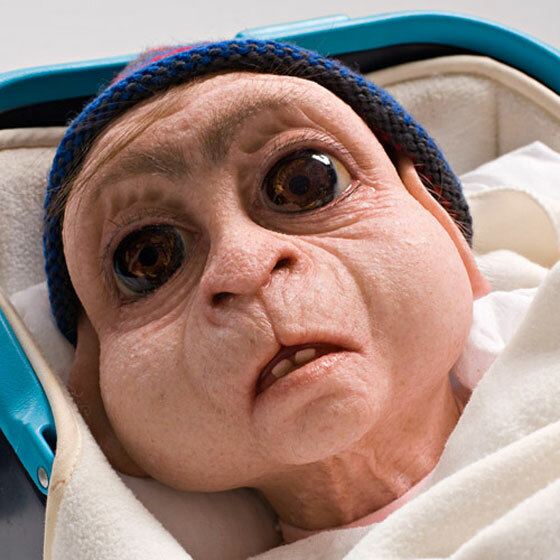 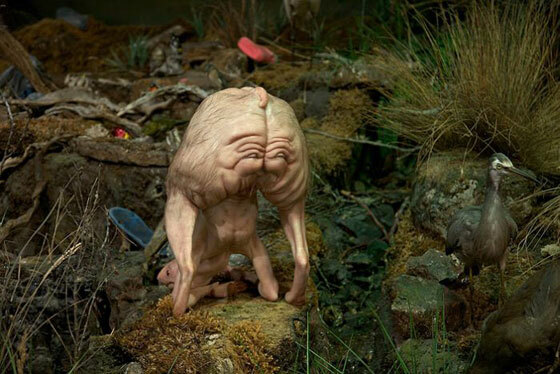 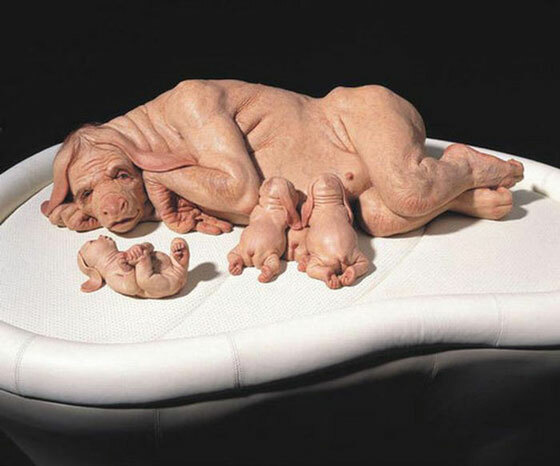 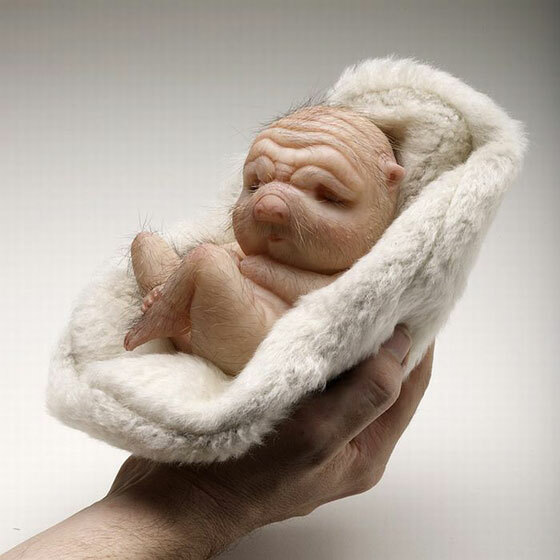 Patricia Piccinini (born in 1965 in Freetown, Sierra Leone) is an Australian artist. 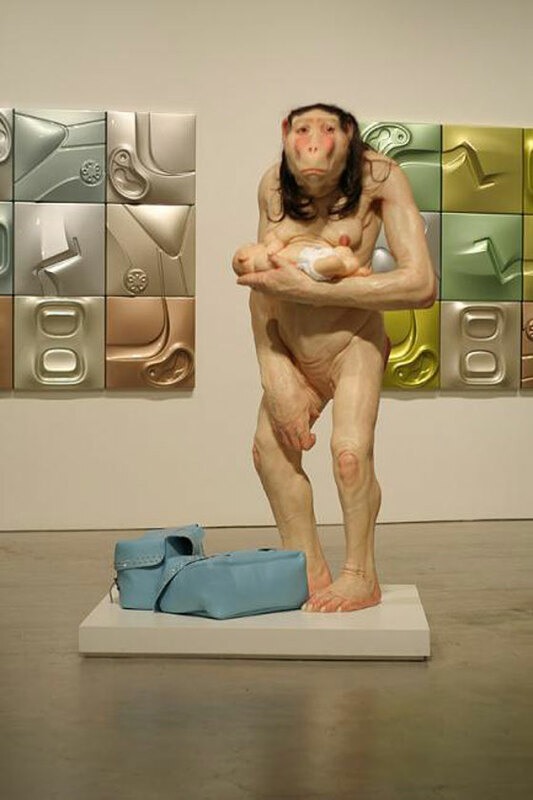 Her art work came to prominence in Australia in the late 1990s. 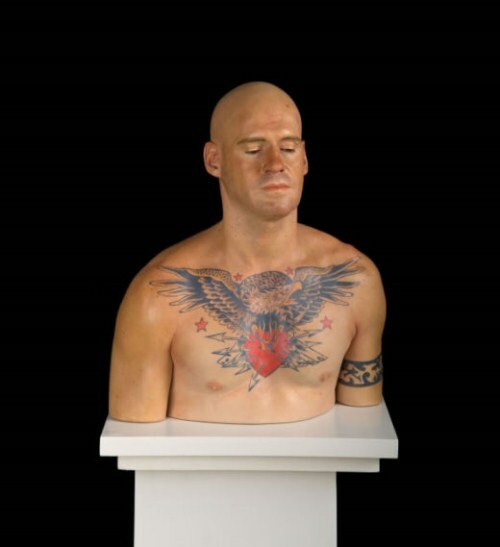 In 2003 she was selected as the artist to represent Australia at the Venice Biennale. 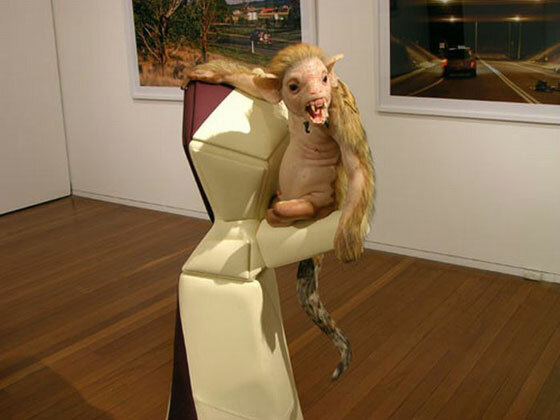 She immigrated to Australia in 1972 with her family. 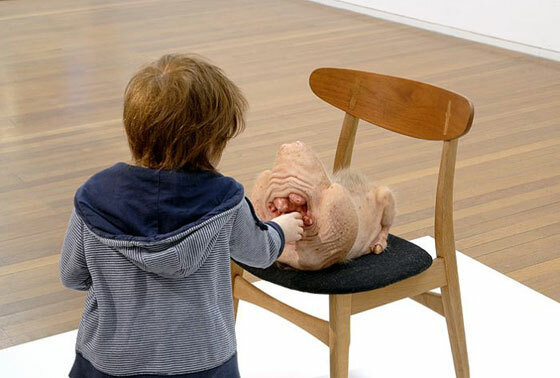 She graduated with a Bachelor of Economics from the Australian National University or ANU, before training in Fine Art (majoring in drawing) in Melbourne. 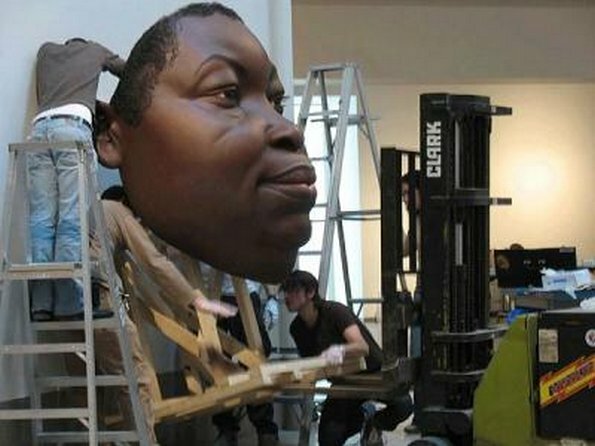 Her mixed media works include the series Truck Babies, and the installation We are Family which was exhibited in Venice in 2003. 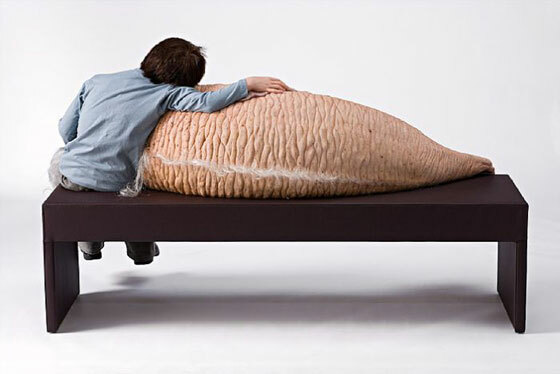 Piccinini works with a wide range of media, including sculpture, video, drawing, installation and digital prints. 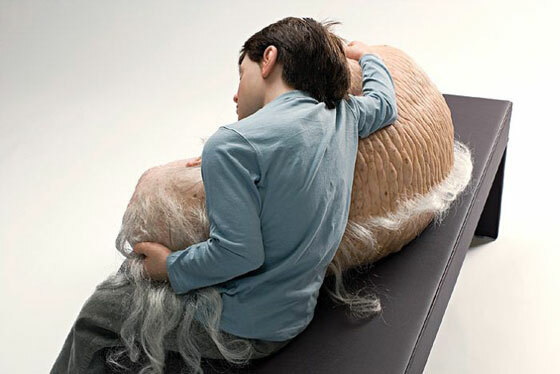 Her major artworks often reflect her interests in issues such as bioethics, biotechnologies and the environment. 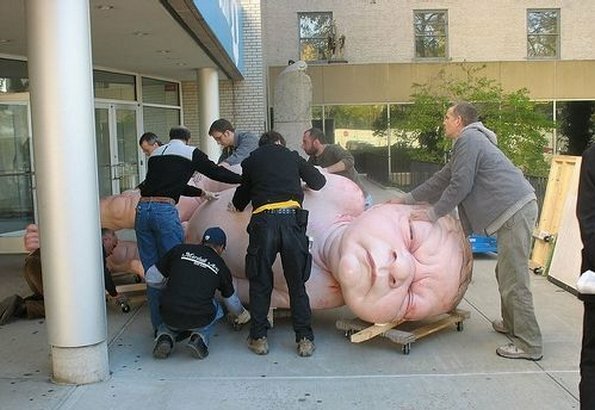 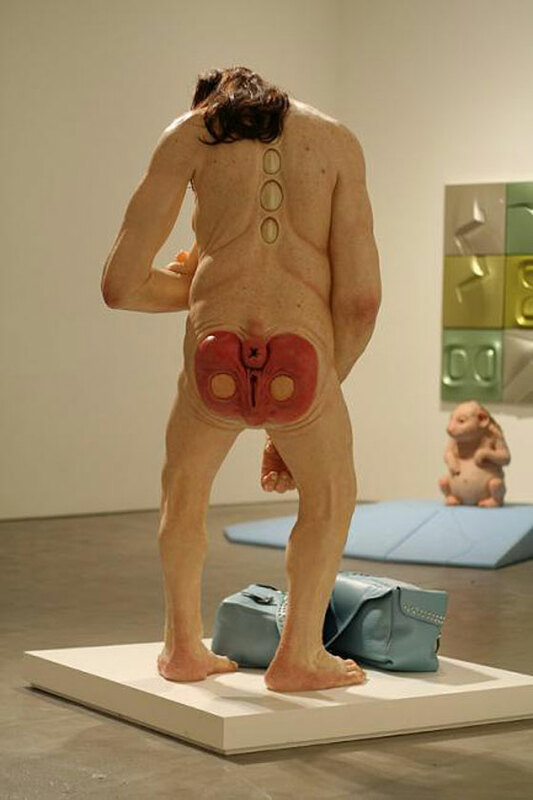 Other Australian artists who work in a similar idiom are Martine Corompt, Sam Jinks and Ron Mueck. 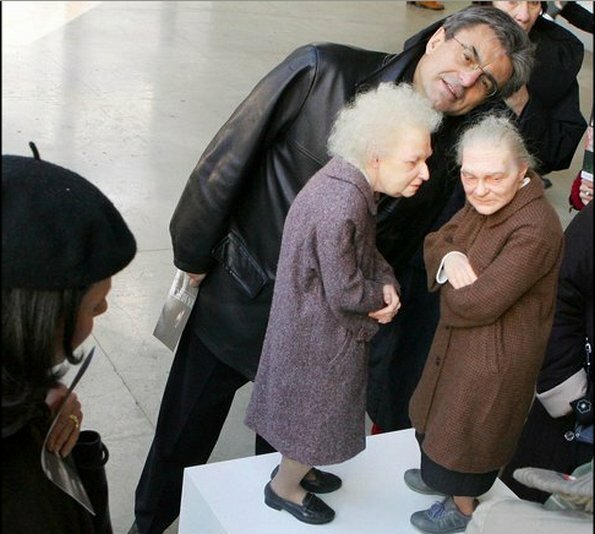 Marc Sijan’s Superrealistic sculptures are “homages to humanity’s fascination with its own forms — a fascination which has compelled artists throughout the millennia to mirror life in virtually every medium.” Sijan’s figures are incredibly lifelike, sensuous and graceful. 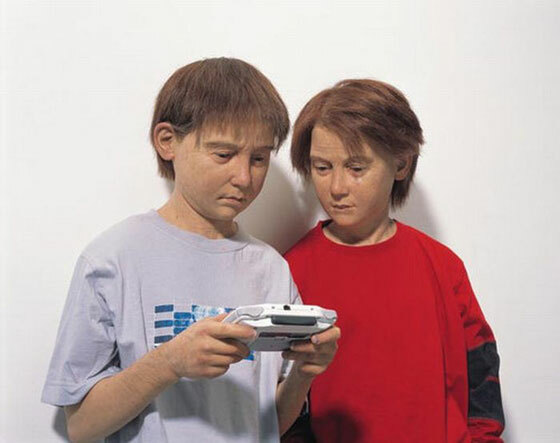 In fact, they are so lifelike, they seem always on the verge of movement, a mere instant away from action. 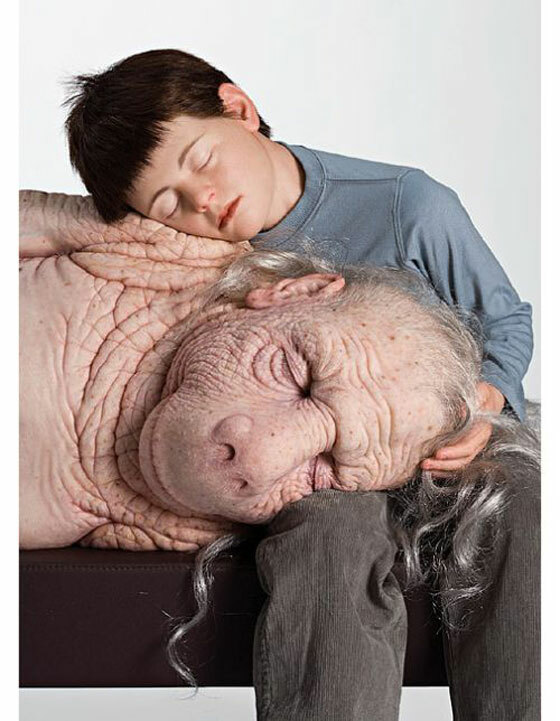 The pores in the skin, the tiny hairs, and veins; even the bald spots, the blemishes, the individual shapes of the faces that make human beings so similar, yet so unique: These are the essence of what makes Marc Sijan’s work so arresting.